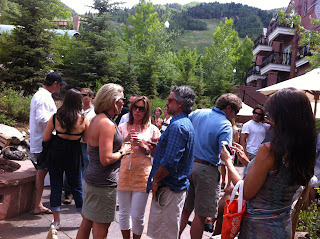 Food and wine festivals are always busy days, but I took on quite a bit for Saturday at the Aspen Food & Wine Classic. I had five parties to get to and I was determined to see, taste and listen to as much as possible. 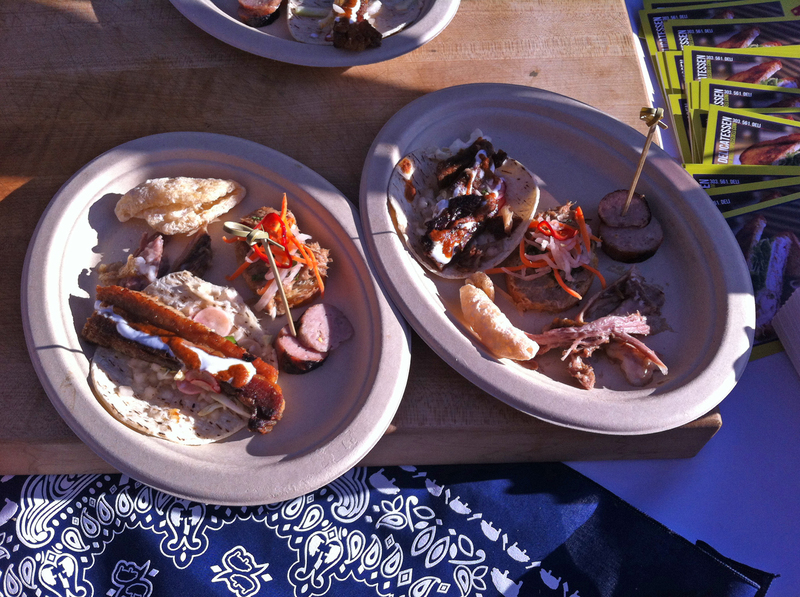 We started the day at the Whole Foods Fishmonger Face-Off, which certainly wins the prize as the most unusual event at the Aspen Food and Wine Classic. There were 11 fishmongers from Whole Foods Market stories around the country competing to cut their fish quickly and accurately, as well as answer trivia questions by Chef John Besh that helped educate the audience on making responsible choices on seafood. As you can imagine, there wasn’t much to eat for someone with a fish allergy, but I had Lisa to do the tasting (she raved about everything, especially the Rockfish Pontchartran with Chanterelle and Blue Crab) and I knew there would be plenty of things to save my appetite for and nibbled on some scrumptious mushroom tarts. Aspen Peak Magazine definitely knows how to throw a party and I was glad Lisa and I got an invite to the Carte Blanche event. 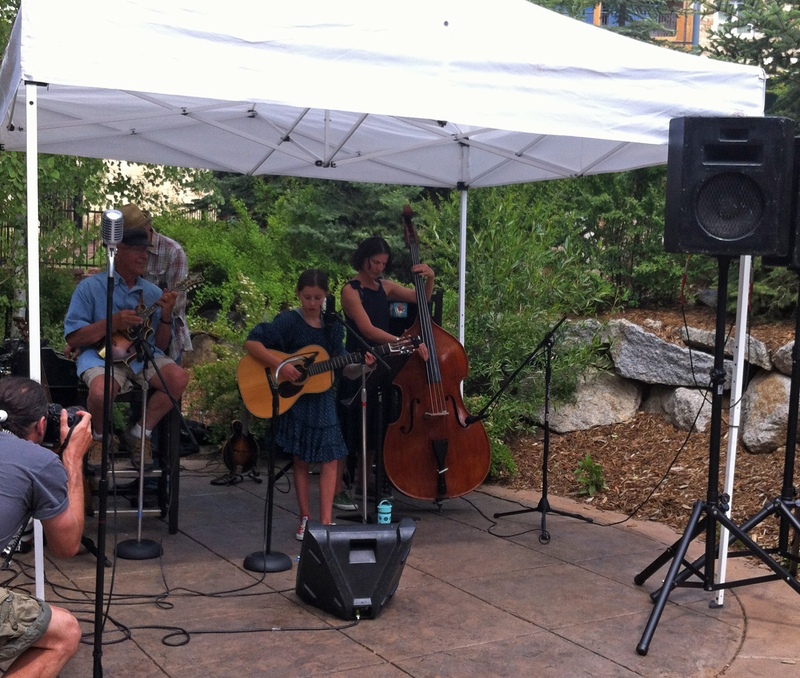 It was a private event and we had our own musical entertainment by the phenomenal Bella Betts. At 11 years old, the daughter of famed sommelier Richard Betts decided she wanted to make it on her own and made an album funded by Kickstarter. Less than a year later, she’s playing her music everywhere, including songs she writes herself. I was just blown away by the talent of this young girl. 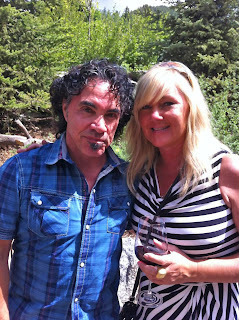 It was an A-list crowd that included singer John Oates , an Aspen resident who Lisa couldn’t wait to meet. 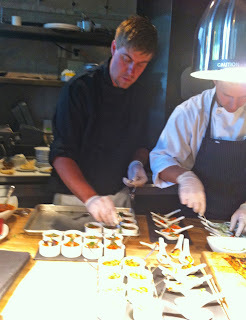 We dined on everything from falafels to lobster rolls, with some terrific Carte Blanche wines. By the time we got back to the Bed and Breakfast, we had just enough time to shower and change for the evening’s festivities. We drove up the mountain to the Swine at the Mine party. It was quite a view from Smugglers Mountain and we walked around for awhile just taking in the views. Although I was content on the outside, Lisa actually even got me to go inside the mine, which turned out to be more interesting than I thought. 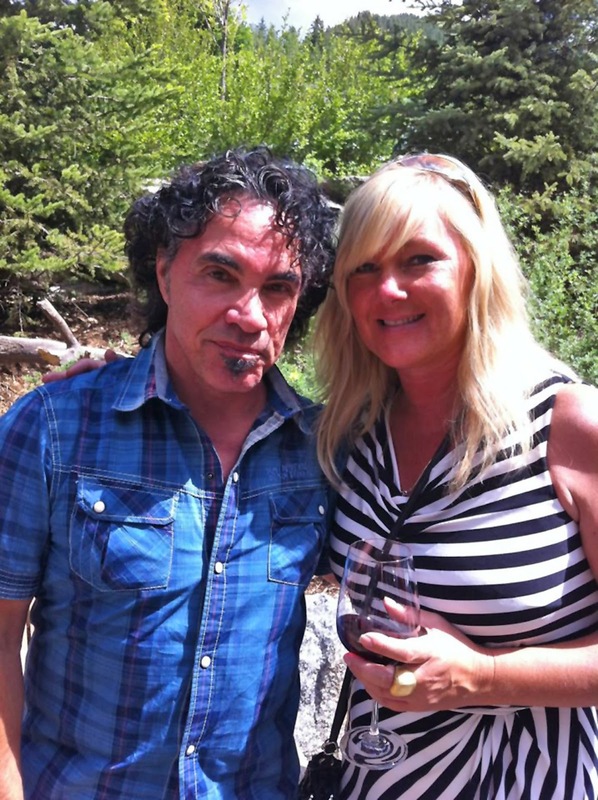 We posed for some photos and had some wine. 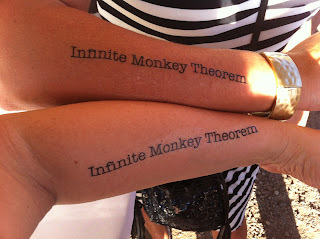 The Infinite Monkey Rose in a can was a unique idea and very refreshing. 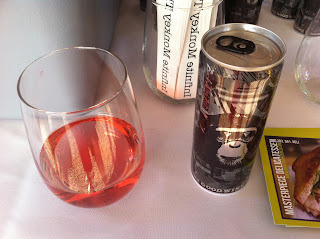 Since I’m not much of a beer drinker, I loved the idea of making wine as casual and portable. We showed our approval for it by getting matching Infinite Monkey Theorem tattoos! They certainly made use of the swine at this party. 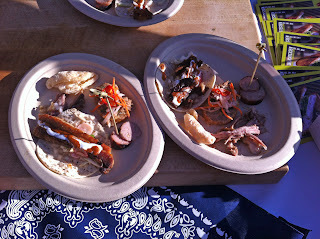 We enjoyed the Roasted Pork Belly Tacos and Handmade Garlic Sausage. There was also Pork Rilette and additional side dishes to complete the “Pork Six Ways” presented by Masterpiece Delicatessen. 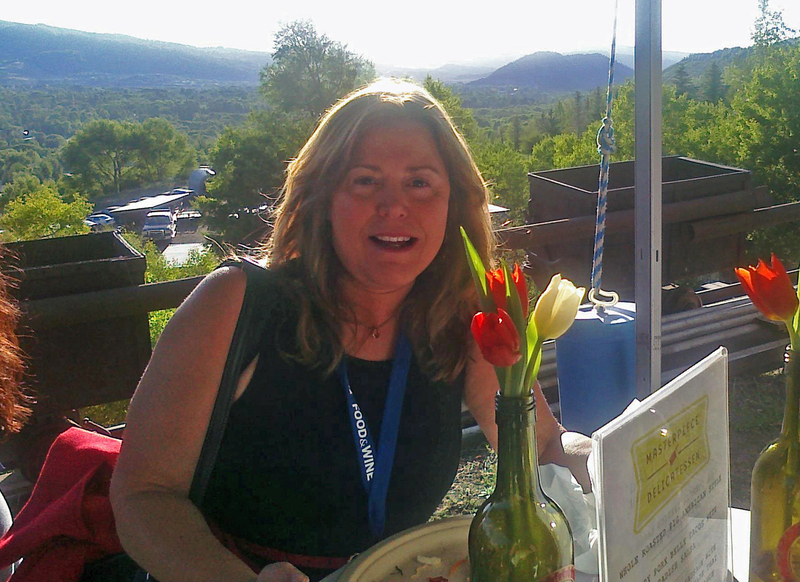 I left Lisa at Smuggler’s Mountain while I headed to the Food & Wine Classic 30th Anniversary Party and Elvis Costello concert. I didn’t make it in time for the actual party, but I did get seated before the concert began. 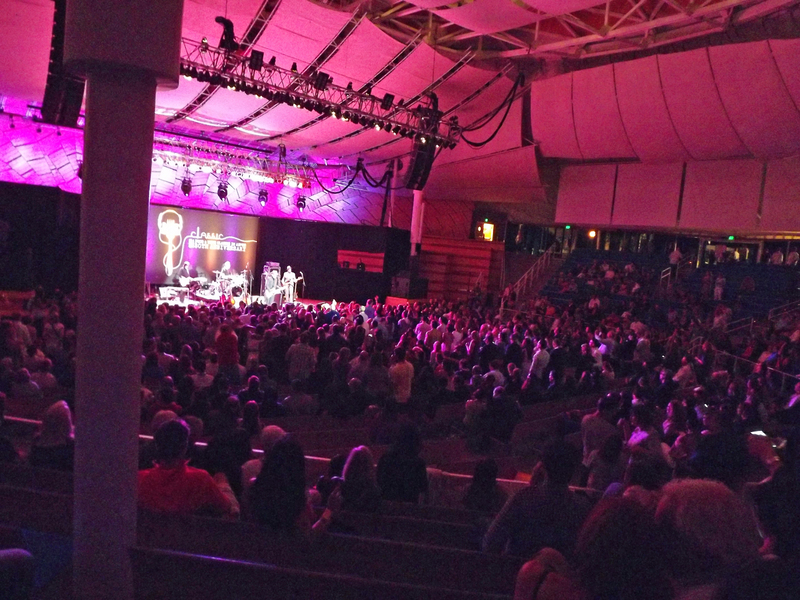 It was a wonderful concert, with the whole audience signing along through most of it and the chefs down in the front row dancing in the aisles! 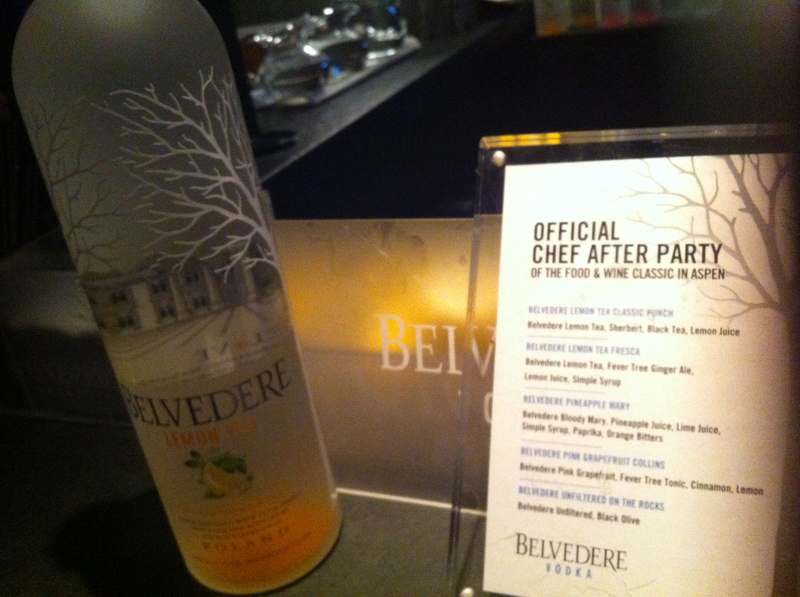 The night ended at the Belvedere After Party, where I definitely danced the night away. 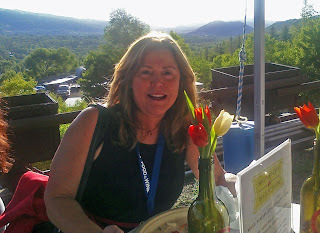 The place was packed with celebrity chefs like Andrew Zimmern, journalists (I finally got to meet Food & Wine’s Dana Corwin and dance a bit with my Aspen Peak editor Erin Letz) and lots of Aspen regulars. 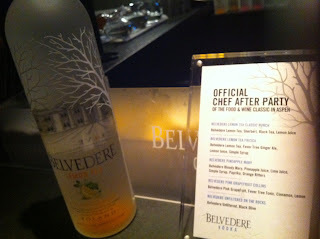 I discovered Belvedere Lemon Tea and tonic, a drink I would soon not forget. I was more than ready to call it a night when the party was over, but I had made it through the biggest partying night of the year and the next day was going to be a lot easier.